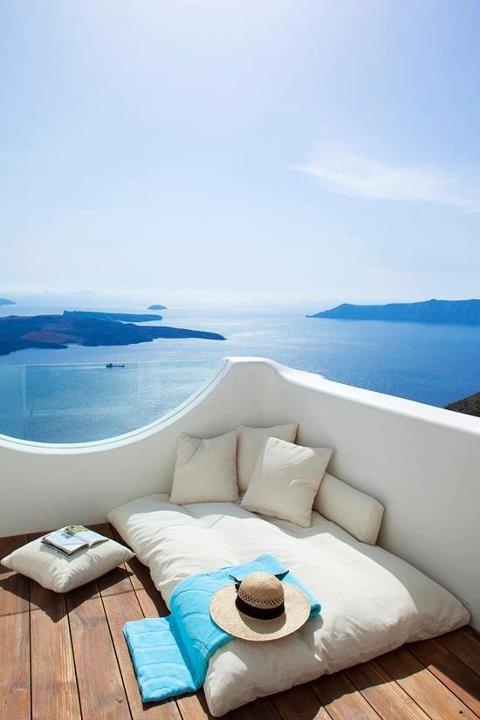 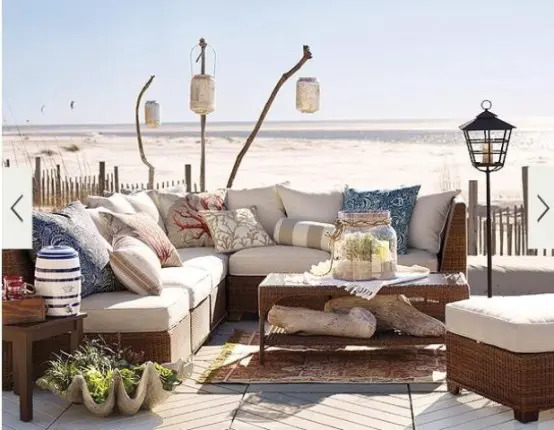 In summer we all want to go to the beach, to the seaside but if you don’t have holidays you can have a beach right near your window! 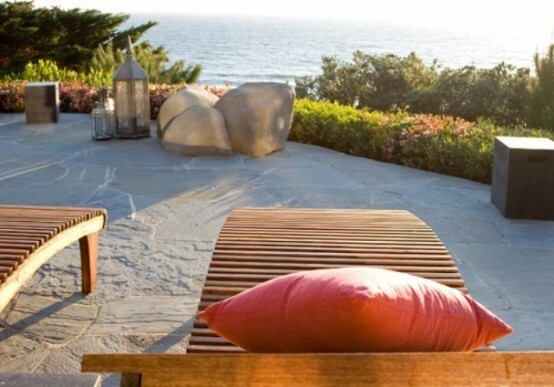 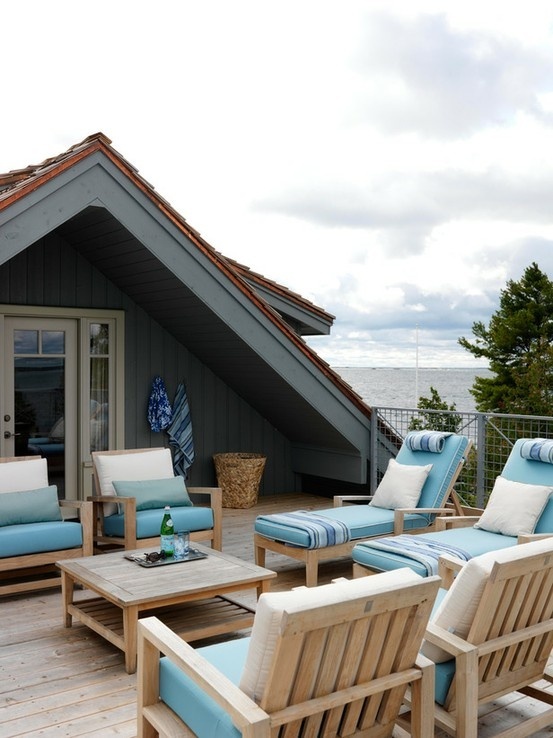 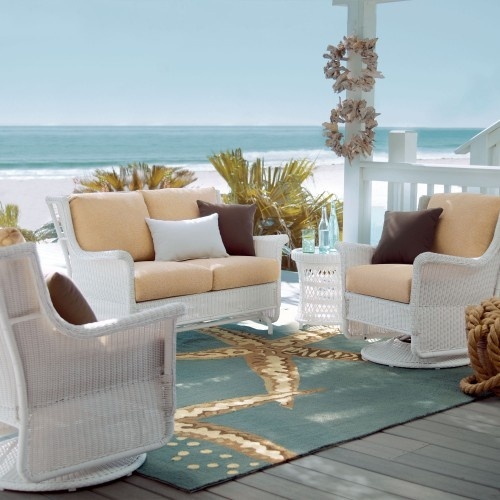 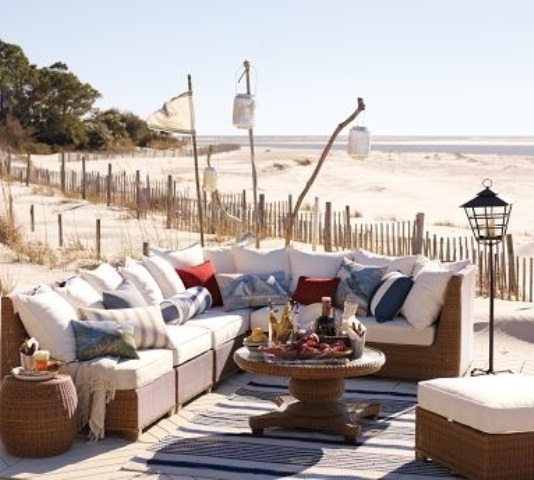 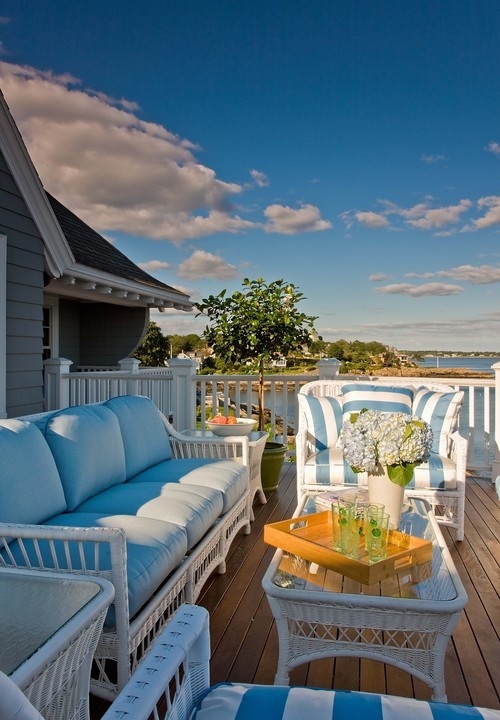 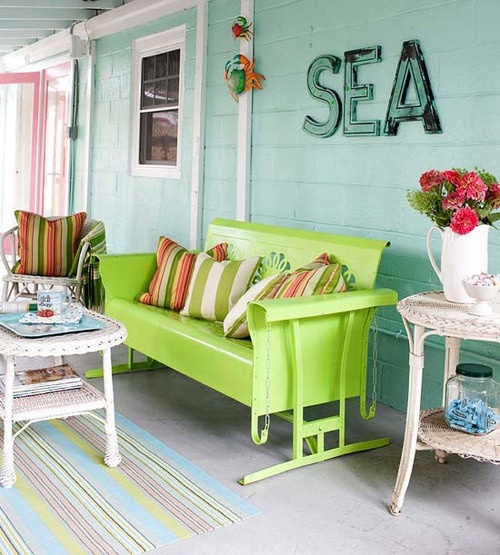 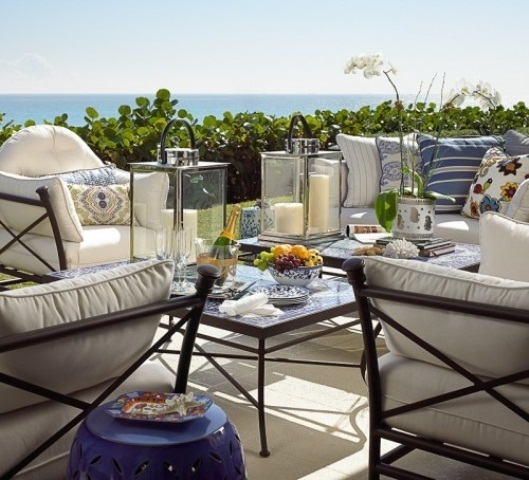 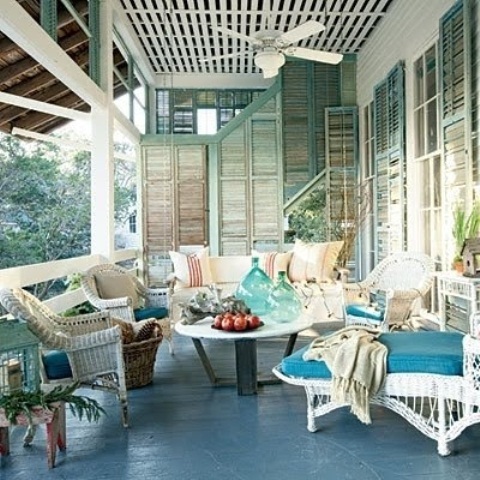 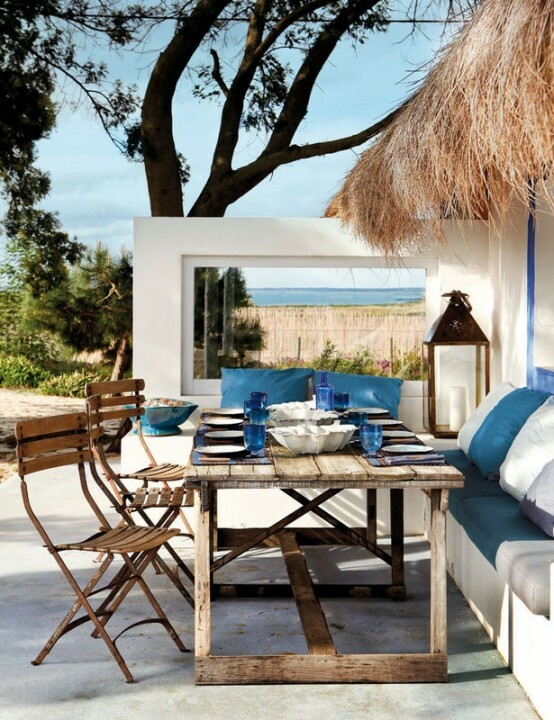 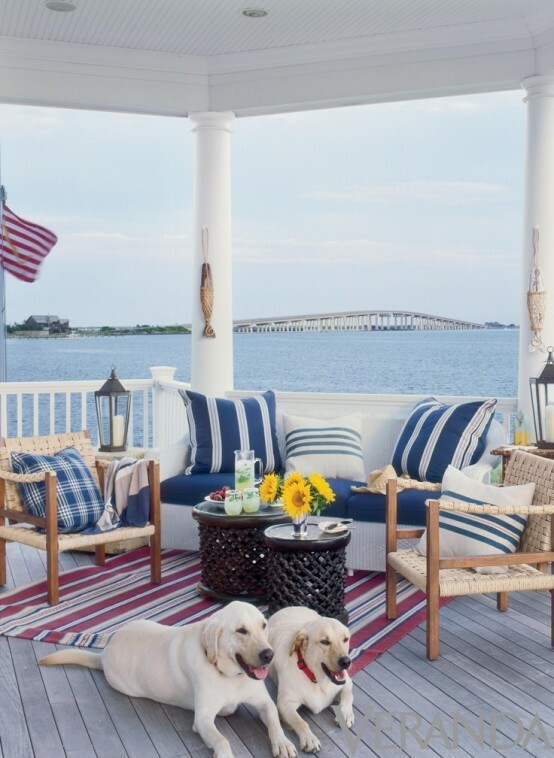 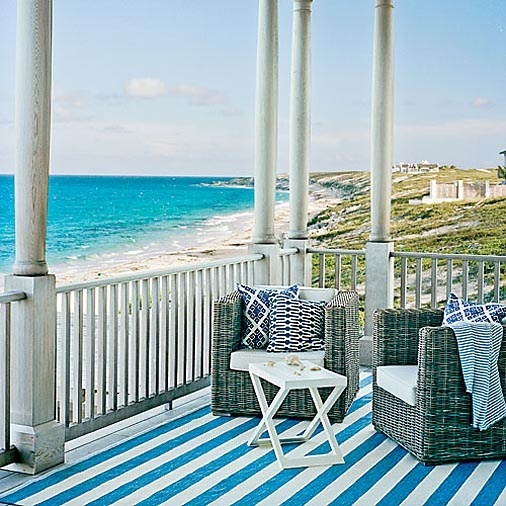 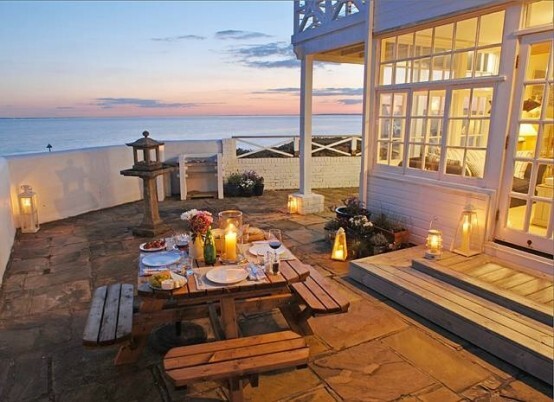 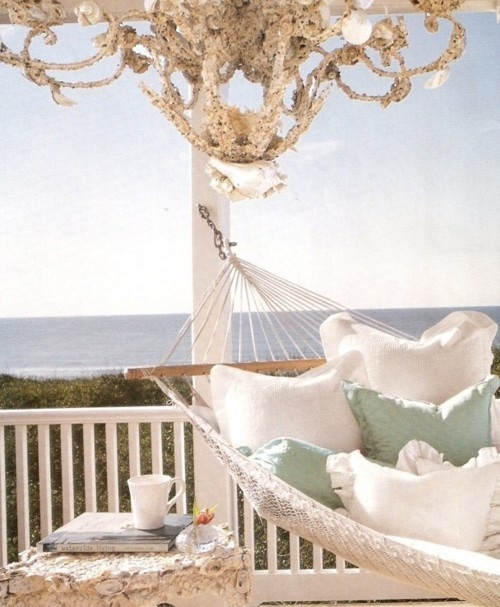 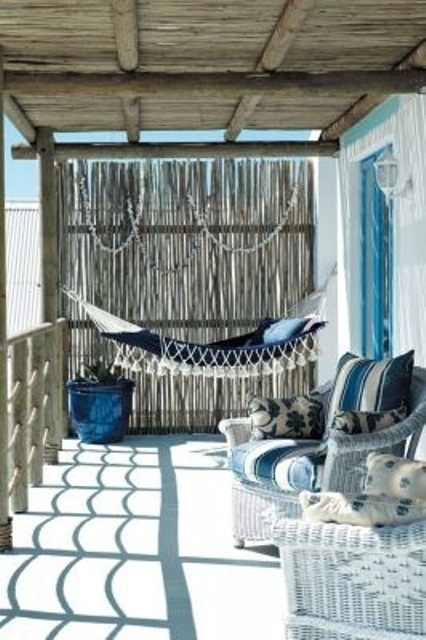 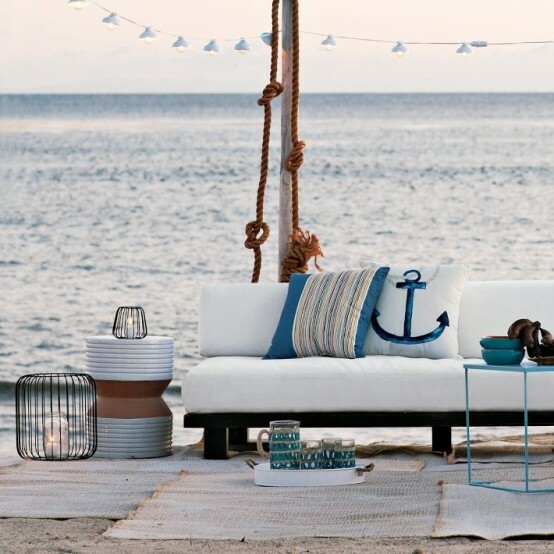 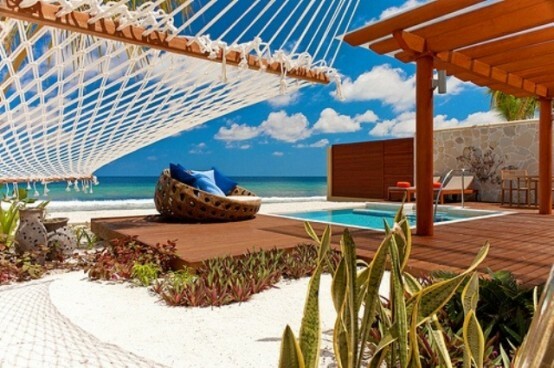 Create a beach-inspired patio or if you have a holiday house, just make a patio there. 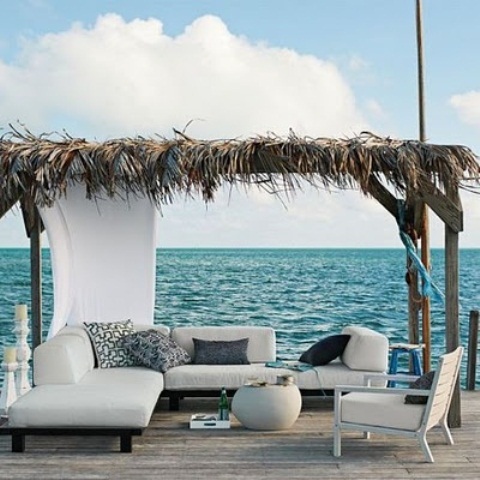 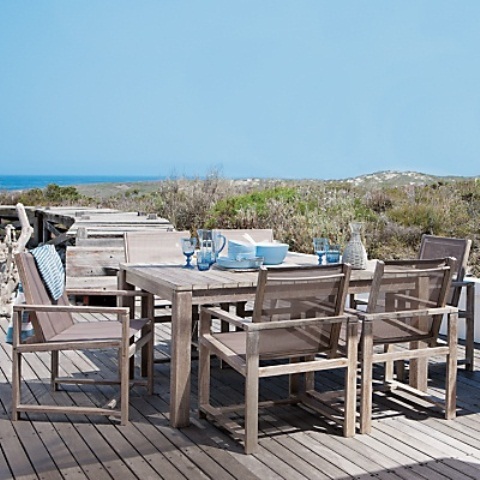 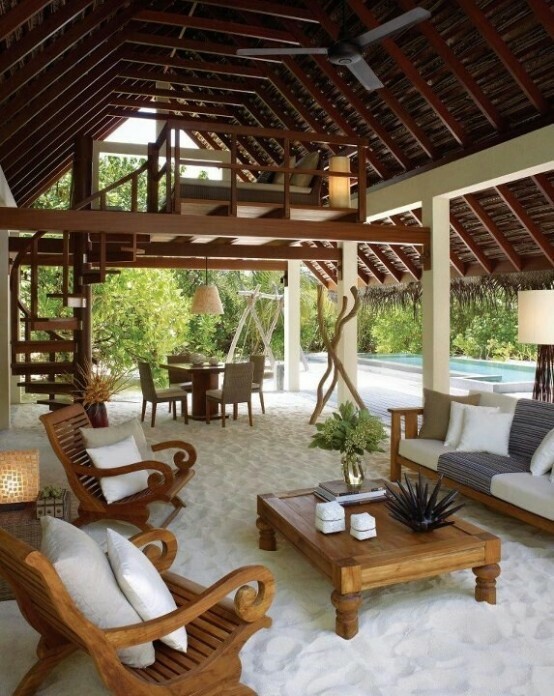 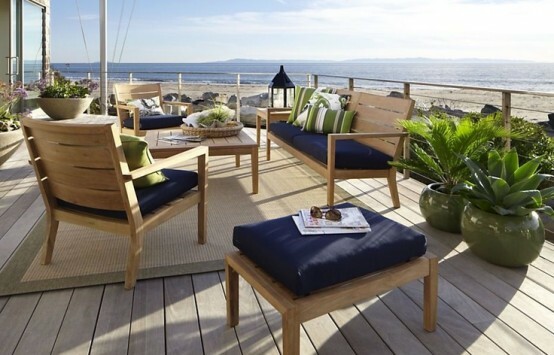 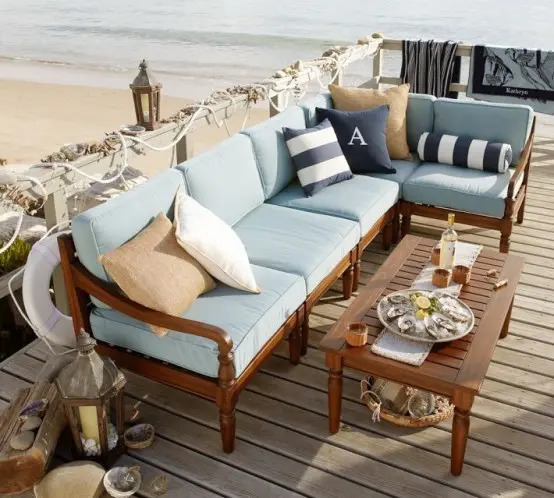 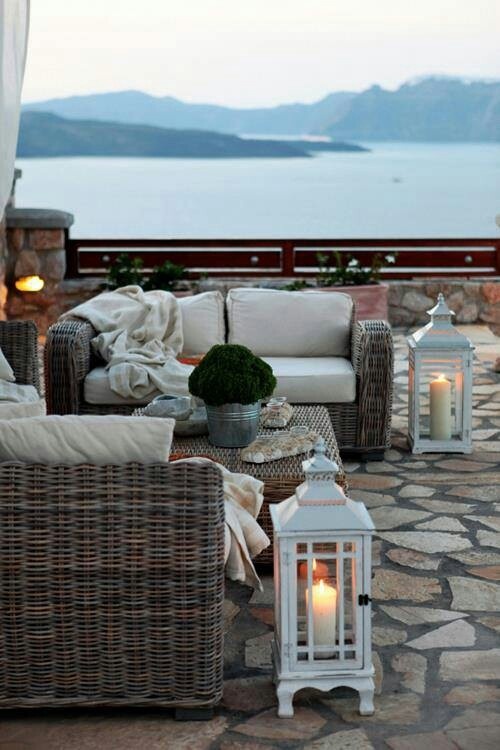 Rattan furniture, some sun roof or a tent, comfortable chairs and a table – these are the most important pieces. 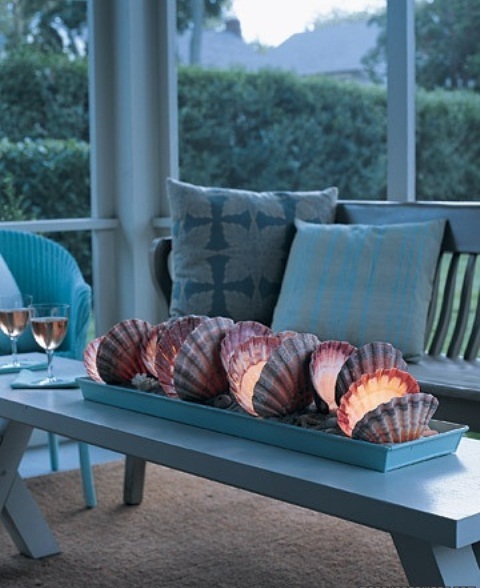 Add sea décor pieces like corals, shells and star fish on the tables, shell garlands and sea-style lanterns – these accessories would create an atmosphere. 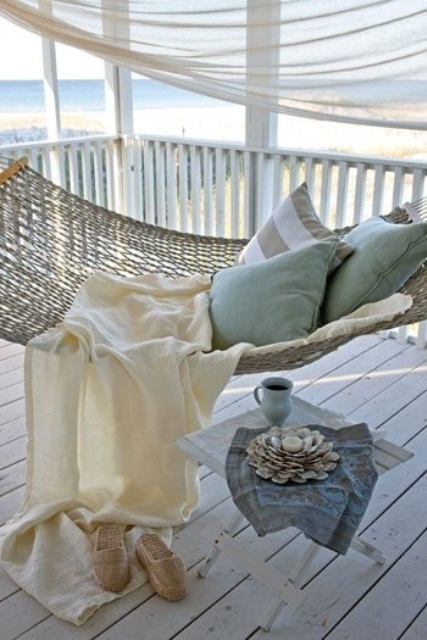 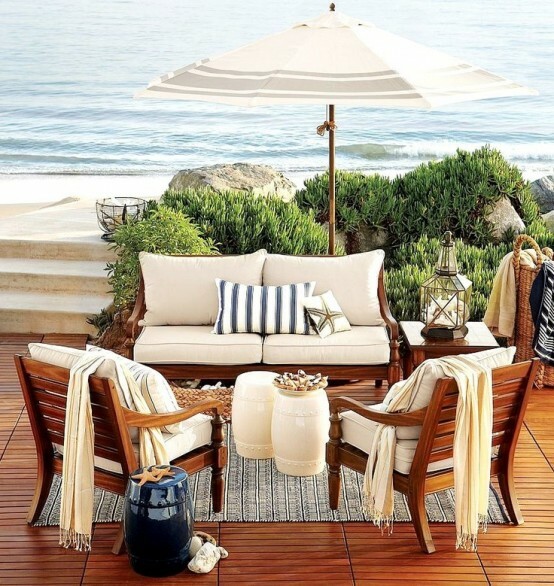 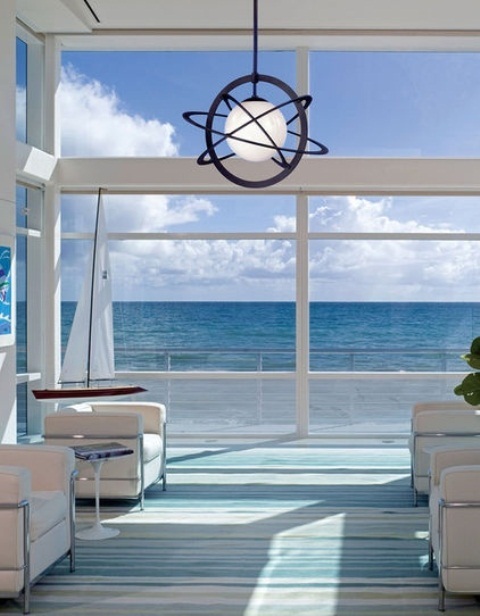 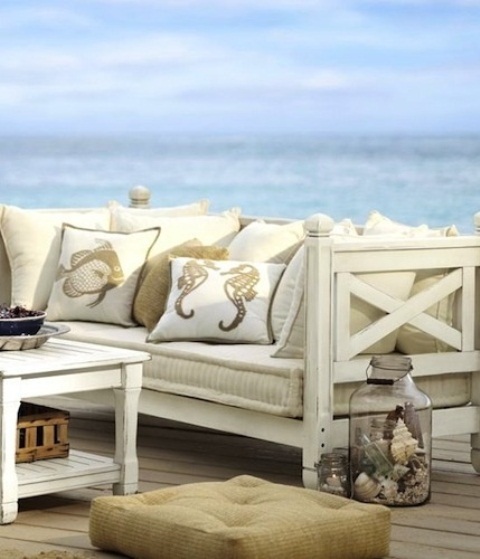 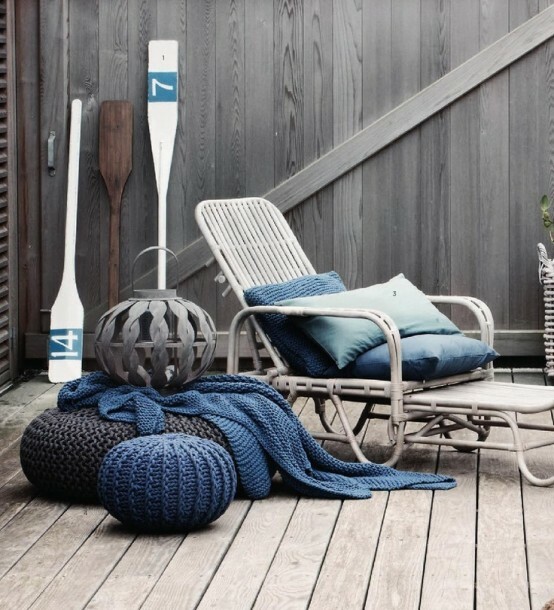 A wooden deck and driftwood pieces would highlight the style. 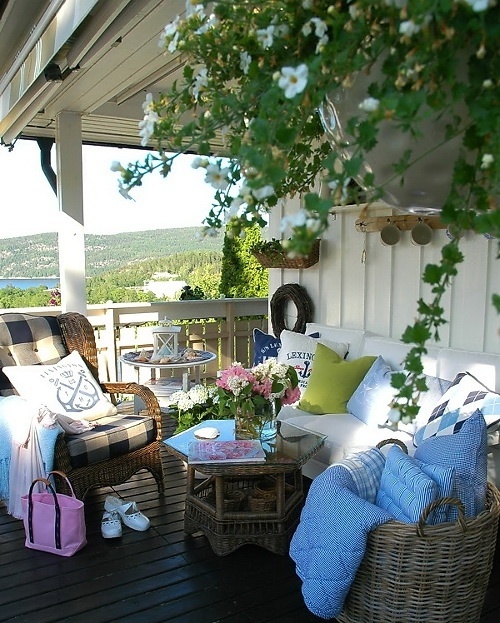 Look at some more examples below and enjoy!